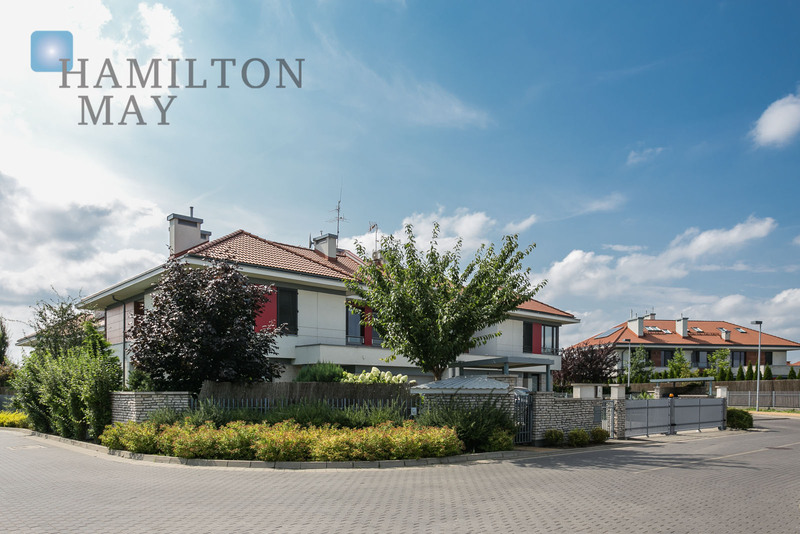 Hamilton May presents a house offered for rent in a prestigious housing estate, situated next to an American school. Excellent location in a quiet area of the settlement. Hamilton May presents a four bedroom house available for rent in a prestigious estate situated right next to the American school. Located in Konstancin-Jeziorna, the Konstancja Housing Complex is a brand new, exclusive suburban investment of single family semi-detached houses and residences which uniquely blends modern architectural solutions with the beautiful landscape. The settlement is planned to feature 320 houses. Konstancja Settlement is located just 16km from the city center - the convenient routes make it easy to travel, while the green surrounding grants quiet and healthy environment. The investment lies in the vicinity of the prestigious American School, as well as a recently opened kindergarten. Thanks to the presence of numerous green recreational areas, the Konstancja Settlement is beautifully detached from the fuss of everyday urban life and becomes the perfect choice for families with children.